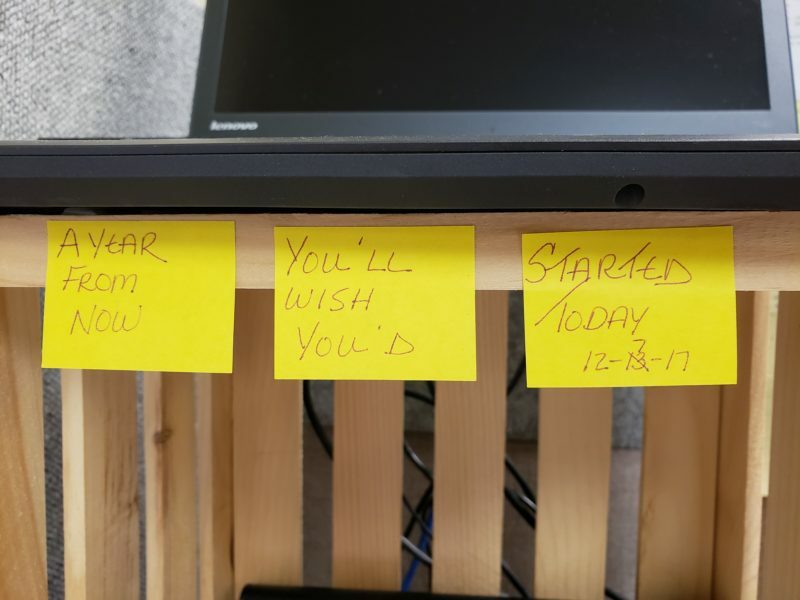 On December 6, 2017 I hung this saying at my work desk - “A YEAR FROM NOW YOU’LL WISH YOU STARTED TODAY 12-7-17”. Best. Saying. Ever.